Britain's Prince Harry is defying his grandmother's wishes to shave his beard after Queen Elizabeth reportedly said she'd rather he was clean-shaven. Britain's Prince Harry is refusing to shave his beard. 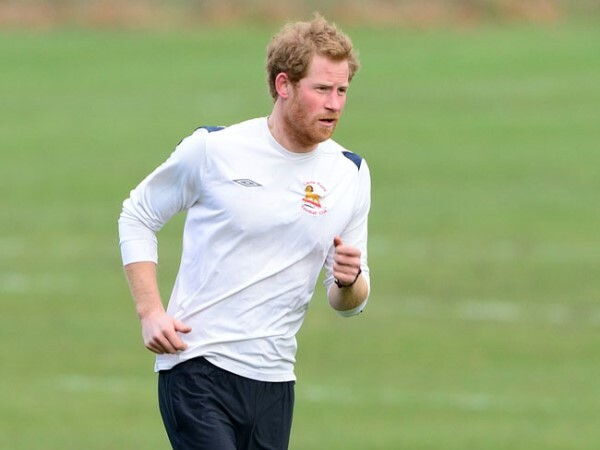 The flame-haired royal grew facial hair during his 208-mile trek in Antarctica for the Walking for the Wounded charity last month and his grandmother, Queen Elizabeth, is not a fan of his new look. But reports suggest not getting rid of the beard any time soon, despite sources saying the 87-year-old monarch would rather him look smarter and be "clean-shaven". Fans of the 29-year-old royal have taken to Twitter to start a light-hearted campaign for him to keep his facial hair, called 'Prince Harry vs Queen Elizabeth'. One person wrote on the site, "Dear Prince Harry, remind Nan Edward VI + VII had beards + Victoria's Albert, George V, as does Michael of Kent. Your beard is a tradition! (sic)"
A source told the Sunday Express newspaper, "The Queen soon let her displeasure be known. She doesn't mind royal men growing beards when they are away in the Armed Forces or out in the wilds like Harry was in the Antarctic, but she expects them to be clean-shaven when they get home. Royal staff are not supposed to grow beards or moustaches and she probably thinks it is difficult to enforce that rule when her own grandson has a beard."